Merfolk of the Pearl Trident ($39.98) Price History from major stores - Alpha - MTGPrice.com Values for Ebay, Amazon and hobby stores! 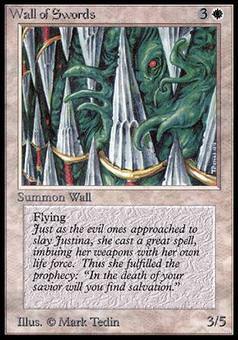 Flavor Text: Most human scholars believe that Merfolk are the survivors of sunken Atlantis, humans adapted to the water. 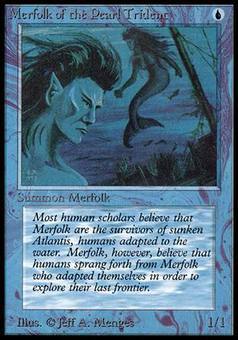 Merfolk, however, believe that humans sprang forth from Merfolk who adapted themselves in order to explore their last frontier.